After weeks of fancy hors d’oeuvres, champagne and macarons, we’re ready to get back to basics. What better way to ring in the return of everyday eating than a stellar hamburger? 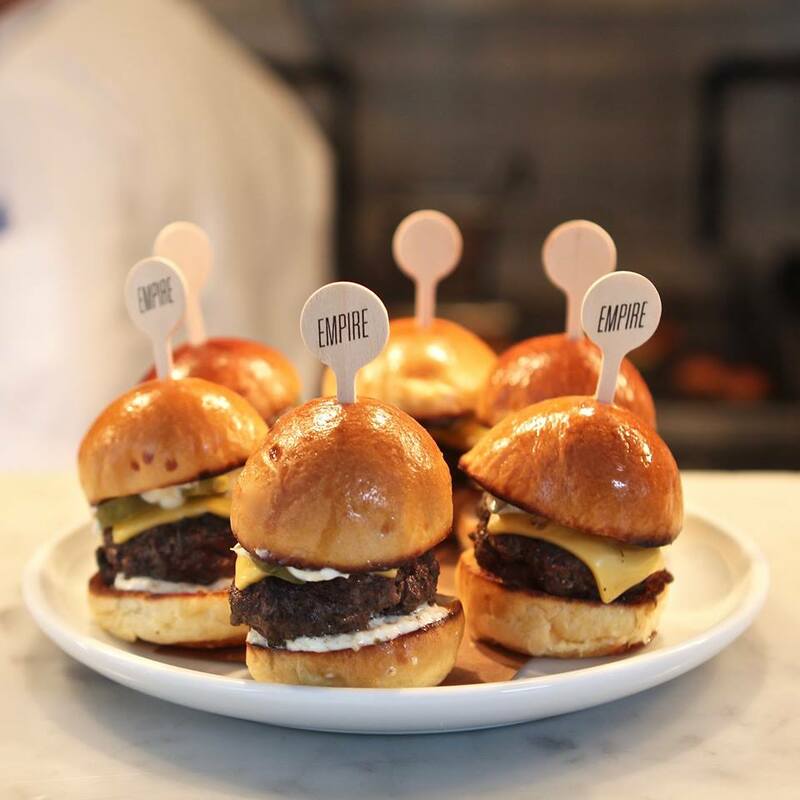 Whether 2018 finds Long Islanders down under, visiting our neighbors to the north, hopping across the pond or staying close to home, there’s a burger totally worth the calorie blowout. 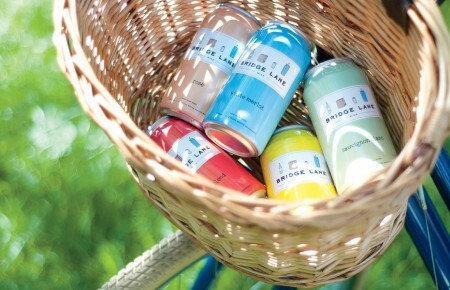 And here’s where those perfect specimens can be found—that perpetual “lose 10 pounds” New Year’s resolution be damned! This West Chelsea hideout looks like a 1950s roadside diner, but step inside and the mood is decidedly more urbane. The classic-with-a-twist flair extends to that quintessential diner mainstay: the burger platter. 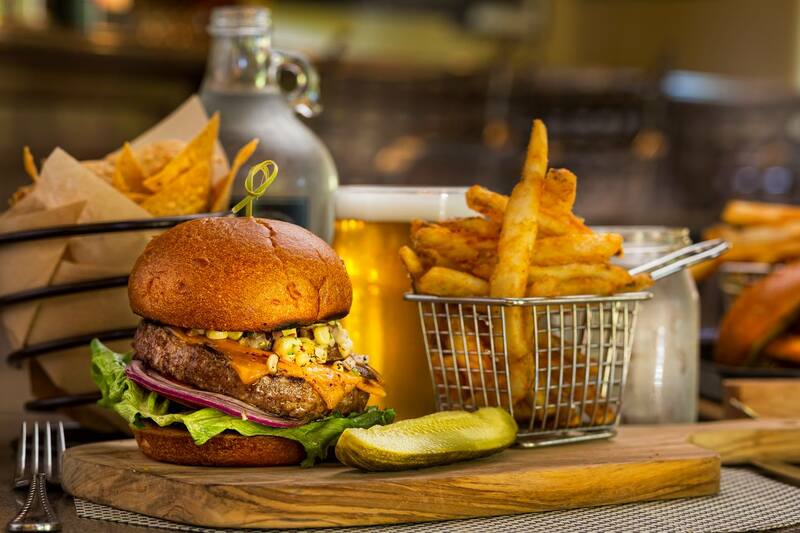 The empire special blend burger, from executive chef Justin Nuebeck, wows with its superior execution of simplicity. It’s made with a double patty, American cheese, house dill pickles and aioli with herb fries on the side. Bun-less burgers are the standard-bearer of dieters everywhere. Well, except maybe in London’s business district. Instead of bread, the mac daddy (which is topped with beef pâté, pulled pork, lettuce, tomato and red onion) is sandwiched between two fried slabs of mac and cheese. RIP, New Year’s resolution. 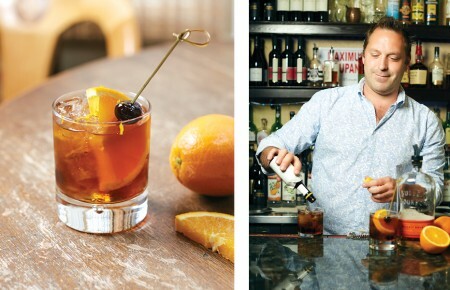 Those who are game for a burger with big western flavor may want to sample the woodrow. Paying homage to its Rocky Mountain roots, the burger features an elk (or bison) meat patty, Colorado cherry jam, prosciutto, brie and arugula. It hardly gets better than that—except that it does, when customers realize they get to dig into that one-of-a-kind sandwich while looking out over Rocky Mountain National Park. Torontonians are often spotted here, having thought nothing of the hour plus drive each way. 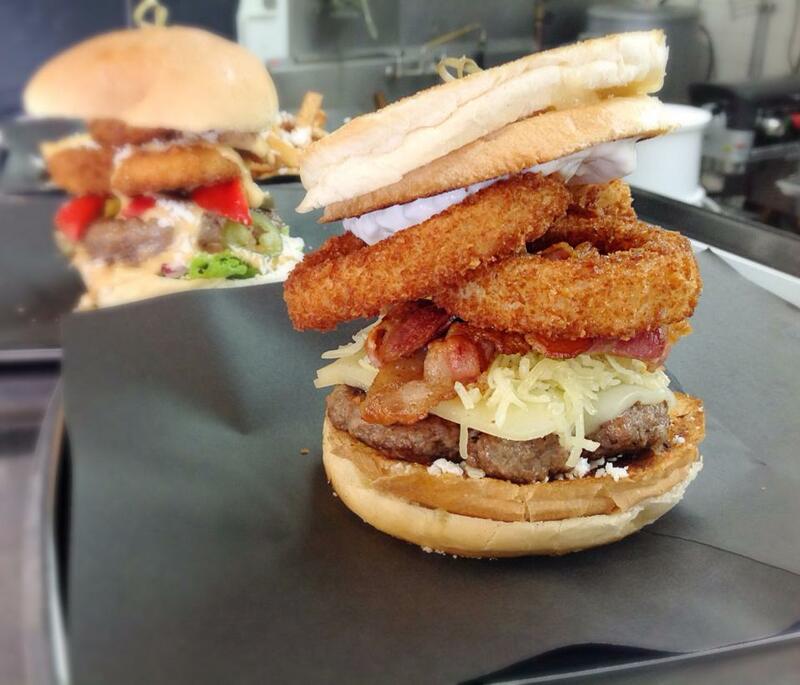 The freshly-made burgers, crafted with locally sourced ingredients, are that good. The 12 varieties—named after a Greek god—have everything from pineapple rings and feta to peppercorns and roasted red peppers. A fan favorite is the Apollo, a beef patty topped with a fried egg and peameal bacon (a type of Canadian bacon with a yellow cornmeal crust) tucked between two grilled-aged white cheddar cheese sandwiches. Then there’s the secret menu, shown only online, revealing such delectables as burgers with two waffles for buns. Diners can always get fries with their choice, but why not go with the poutine, washed down with a “pop”? This restaurant overlooking the first tee of Pebble Beach Golf Links–the number one public golf course in America–has views of Stillwater Cove. While the scenery is a major draw, another is the pb&a burger. This unique guest favorite is 100 percent turkey burger on a whole-wheat bun finished off with smooth peanut butter, chipotle yogurt, cheddar and avocado. This favorite of Eric Clapton (he frequently fishes in Iceland) serves up 12 types of beef burgers, plus one chicken and one prawn, but the lamburger is its claim to fame. Fresh Icelandic lamb meat sits on a brioche bun baked on premises, then garnished with garlic-grilled mushrooms, cheese, lettuce, tomatoes and red onions. All options come with a choice of nine sauces, chili mayo and truffle Bernaise among them, though most patrons opt for the secret recipe Factory Sauce. The restaurant’s square minis (aka sliders) have just started being served on Icelandair. Who says elegant establishments and heavenly burgers don’t mix? The white label burger—a proprietary aged beef blend, married with fontina cheese, tomato jam (like strawberry jam, but with tomatoes) and dijonnaise, served with classic frites—proves otherwise. The brainchild of Michelin starred chef Michael White first appeared on the menu at Ai Fiori on Fifth Avenue, before evolving into the iteration available at Vaucluse, where it became a cult favorite. This American-style hangout draws expats, as well as Russians who want to practice their English. The food here is largely considered the best American fare in Moscow. The menu, therefore, lists several amazing burgers. 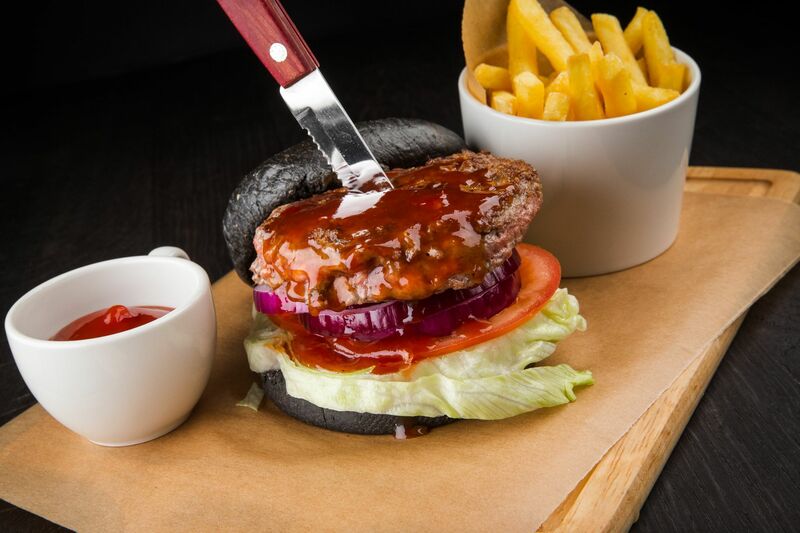 The black jack burger is served on a black roll (it gets the dark color from cuttlefish ink) and topped with iceberg, tomato, pickle slices, red onion and laced with—what else?—Jack Daniels sauce. The burgers are usually a perfect medium-rare, with any extras, like bacon and cheese, all oozing together in every bite. Despite being nestled in a back street of the foodie haven of Surry Hills, word of the burgers (and the vanilla milkshakes, for that matter) have lured food critics aplenty to suss out this under-the-radar spot. Chur Burger has won several Australian burger awards, the first from the Sydney Morning Herald only six weeks after it opened its doors. Serious burger buffs might as well go for the beast: double beef with double bacon, double cheese, BBQ sauce and mustard-mayo. The beef for the paradox burger, which has been lauded by Food Network, is sourced from a ranch just around the bend (literally) from this casual-chic eatery. The open-flame grilled Black Angus burger is thick and juicy with a beautiful brown crust. It would be top-notch on its own, but it’s the toppings that really make this pick pop. Sweet and spicy corn and green chili chutney, smoked onion, honey mustard and sharp cheddar punch up the patty, which is served on a toasted bun. Arguably the best burger anyone can find in Tokyo, if not the entirety of Japan, is to be had in an unpretentious joint next to Tameike-Sannō Station, half-hidden at the end of a narrow street. The juicy Wagyu patty is the star of the authentic burger, but the bun is its understudy. Who eats a burger for the bun? Quite a few of the regulars here, no doubt. This one distinguishes itself from the pack. It’s soft and puffy with a crispy golden shell and has just the right degree of chewiness. The original Thousand-Island-type sauce adds a dash of sweetness. 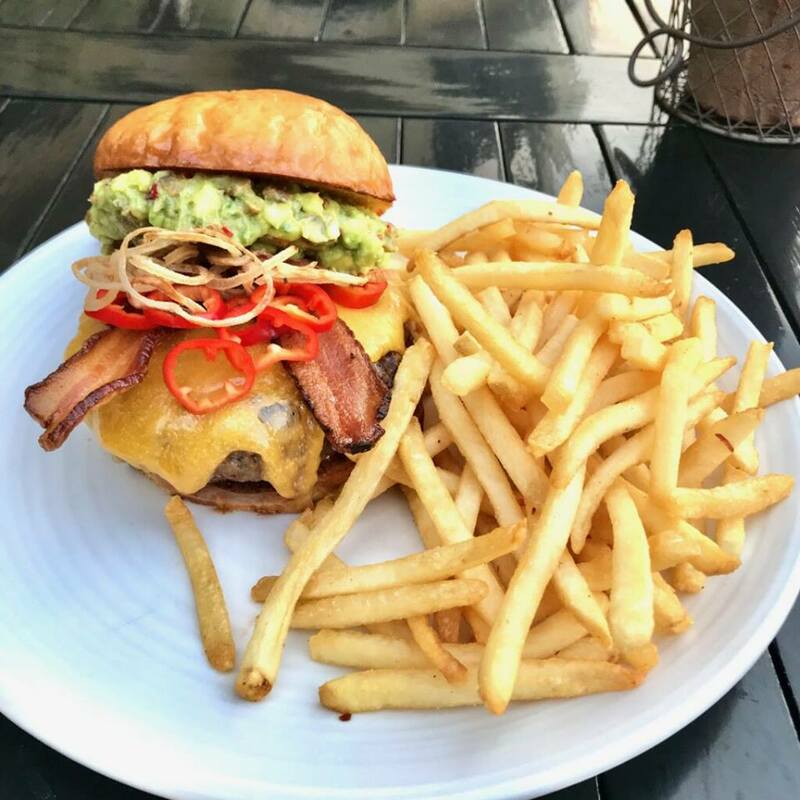 The jade bar burger was developed by resident celebrity chef Beau MacMillan. 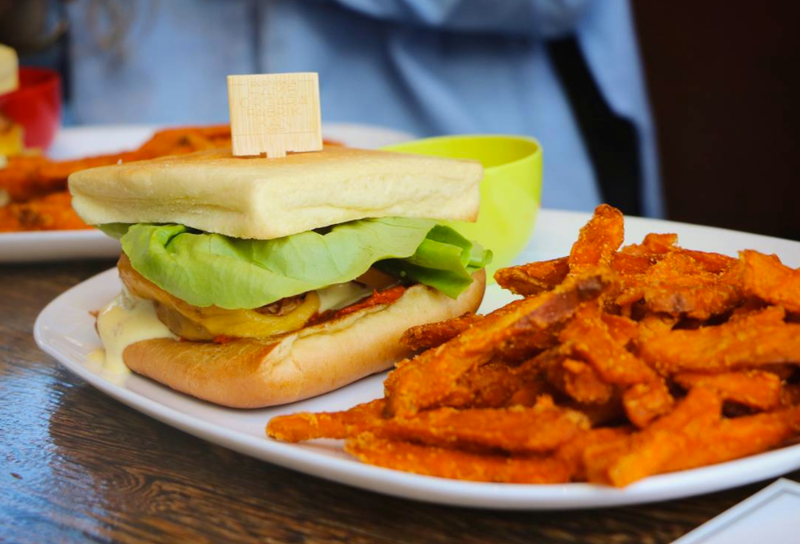 It’s a traditional burger with an Asian twist that jibes with Elements’ dining concept. The burger is smothered in shishito cheese sauce and Chinese mustard, and is topped with lettuce, tomato, onion and pickle. It’s served on a pretzel bun. The best seller has been a house favorite since the day it was put on the menu. Named for its location near a river’s edge, BANK’s California-casual vibe comes from the extensive outdoor patio opening up to a garden terrace, offering diners views of the Napa River and the Oxbow Nature Preserve. (Chef Ken Frank is a member of C.H.E.F.S, the Coalition for Humane and Ethical Farming Standards.) His hedonist duck burger is stuffed with foie gras and topped with provolone, arugula and tart cherry mostarda on a house-made potato bun.